Geeky Way to Do Things! Dealing effectively with chronic or acute nasal congestion can improve the life of those who suffer from this frustrating condition. A lot of information is available over internet on how to get rid of a stuffy nose or nasal congestion. While this is an essential step, many sufferers also seek a long term remedy that can bring relief. The use of essential oils has been favoured for hundreds of years as the method of choice for treating various ailments among homeopathic believers. There are several options that are readily available wherever essential oils are sold. They are easy to use and require limited equipment. These oils are most often used with a diffuser. Diffusers help disperse the oils into the air for easy inhalation. Oil of oregano is said to aid in relieving chronic nasal congestion. It can be added to a diffuser or placed in a warm air vaporizer cup. Some users prefer to put a few drops on a cotton ball and place it near the bed. Oil of Marjoram claims to soothe tissues and reduce inflammation. It is used as an aromatherapy additive in diffusers and vaporizers. It can be combined in compresses but, it not recommended for internal use. It can also be applied to a special ring that goes over a normal light bulb. The heat from the bulb helps diffuse the oil into the air. These rings are available at a variety of stores and are usually under five dollars. Eucalyptus oil is a popular favorite. It contains astringent properties that help reduce inflammation and swollen membranes. It can be used in compresses or aromatherapy devices. It is a common ingredient in over the counter medications too. Oil of peppermint is another favorite. It can be used in teas, compresses or with diffusers. The peppermint is well tolerated and has a pleasant smell. Many people like to use this oil throughout the home, due to the crisp clean smell. The peppermint reduces inflammation and swelling in the nasal passages. 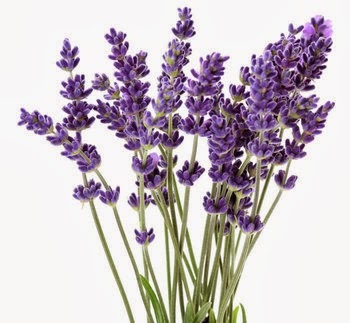 Lavender is used in a variety of applications. It is easy to obtain and smells fantastic. It can be used alone or in combination with other oils. Some users like to add lavender petals to hot baths for quick relief. In addition to its soothing properties, lavender has healing properties that help reduce pain and muscle aches. Oils can also be combined to use in rubs and compresses. A popular chest rub involves mixing 1 drop of lavender, 1 drop tea tree oil, 1 drop niaouli, and 1 drop of sandalwood into a cup of Vaseline. Rub the mixture on the chest to relieve congestion in the nose, sinuses, and lungs. Another favourite includes mixing 4 drops of tea tree oil with 2 drops of sandalwood oil and 4 drops of lemon in either Vaseline or 20mls of sweet almond oil. Using sweet almond oil instead of Vaseline makes it easier to add the mixture to compresses. Most of these oils are easily accessible, but they do require you to purchase items and keep them on hand. For those who suffer daily nasal congestion these oils can really help.